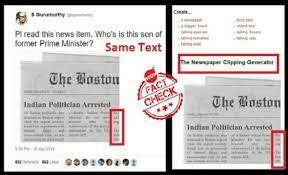 BOOM found that the clipping shared was fake as it could be created through a Newspaper clipping generator tool. 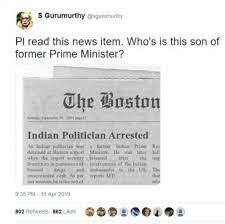 A fake newspaper clipping created through a website and purported to be from The Boston Globe with the headline, ‘Indian Politician Arrested’ was tweeted by Swaminathan Gurumurthy, part-time director of the Reserve Bank of India. Gurumurthy, a Rashtriya Swayamsevak Sangh ideologue, deleted his tweeted after he was called out by Twitter users. 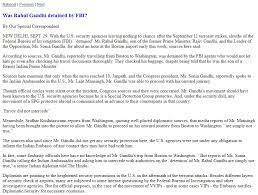 Click here to view tweet, and here for an archive. 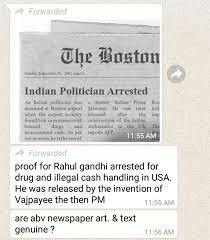 BOOM also received this newspaper clipping on our helpline (7700906111) inquiring if it was genuine and whether Rahul Gandhi was detained for carrying narcotics in the United States and whether he was released on the intervention of Former Prime Minister Atal Bihari Vajpayee. We ran a reverse image search of the viral newspaper clipping which threw up links to Newspaper clipping generator tools that use the same format. 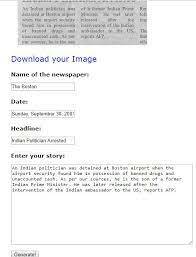 Using the website fodey.com which allows a user to generate a fake news clipping using the masthead of any newspaper one intends. 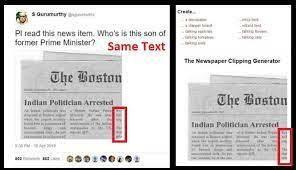 Entering the same name of the newspaper and sentences used in the viral image, we got the same exact image. 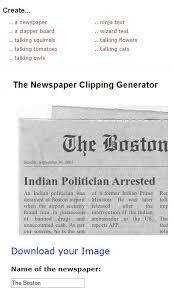 After creating the image, it was observed that the on the bottom right side of the clipping had the same text which shows it is was generated using the tool. The article does not talk about the reason for the detention. Click here for an archive. 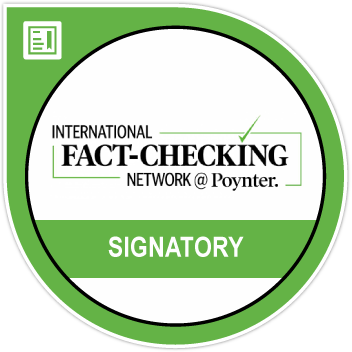 Anmol Alphonso is a fact-checker with BOOM. He has previously interned at IndiaSpend as a fact-checker and was a reporting intern at Times of India, Indian Express, and Mid-Day. He is a post-graduate diploma holder in journalism from St Paul’s Institute of Communication Education, Mumbai.